Hey Colton I am building a 900 budget desktop, considering some of the items you have listed. My only hurtle I’m hitting is; i will be doing streaming and gaming, which CPU would you most recommend? And there’s so many good options for mobo, I can’t decided. When it comes to streaming, you’ll want to have a multi-threaded CPU if you’re wanting to do it into the big time. Being serious with streaming, it’ll help a lot with encoding and editing. I’d suggest the i7-7700 or the K version if you wanted to use the aftermarket cooler as well. If you don’t plan on streaming heavily and needing the absolute highest quality then something like the above i5 would still do just fine. Your website is amazing and has definitely helped me put a rig myself, I have a dilemma; bellow is current part choices. 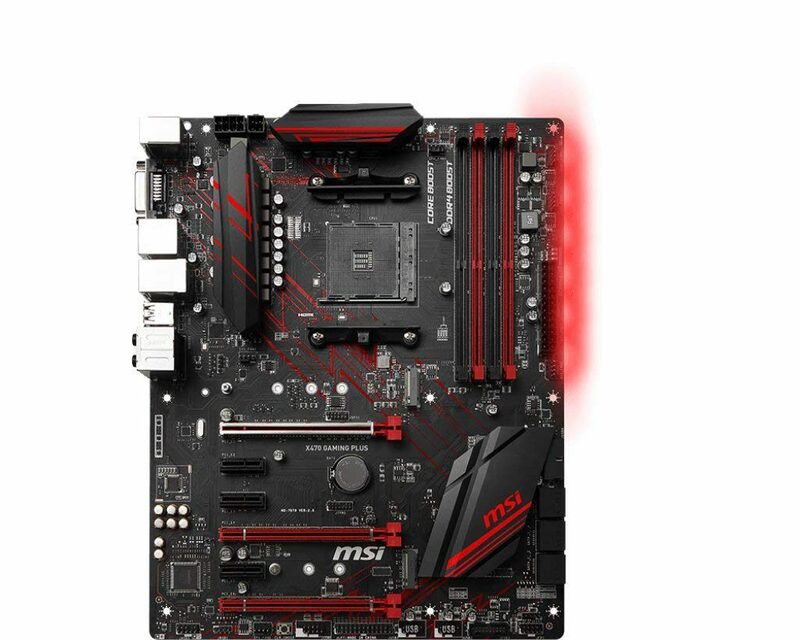 on the MSi website it says the card requires a 400w and consumes 120V. When I put everything in the PSU calculator, everything comes out to 400. Are there any reasons why I should be worried with that psu or am I good ?? You’d be fine with 600w, no worries there. There’s also no need for the Hyper 212 if you’re going for the stock i5-6600. 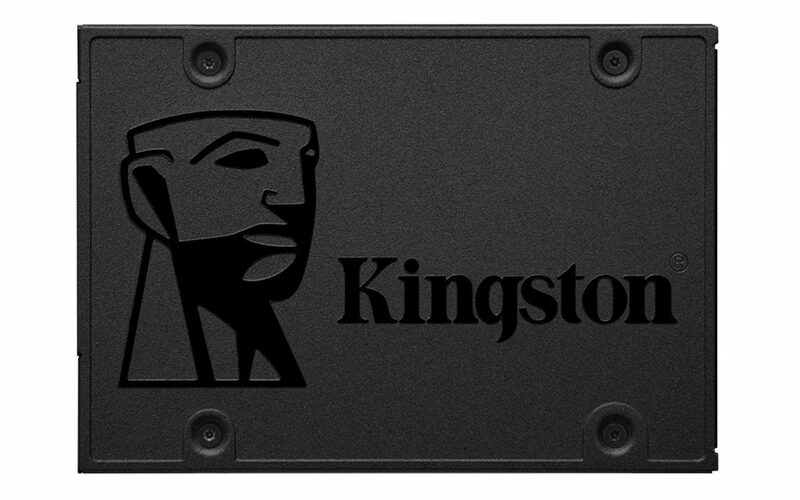 The non-k version comes with a stock Intel cooler and it’s more than enough to keep it cool. An aftermarket cooler is only necessary when you’re thinking of overclocking the CPU. Love the build I was just wondering if these changes would still work with the above build. Yup but keep in mind that case doesn’t have a slot for a CD drive. You could either use an external CD drive or you could install your OS/drivers through another method. Everything else would be compatible. Hey Colton I like this build a lot but was wondering if it would still be compatible with these minor changes. 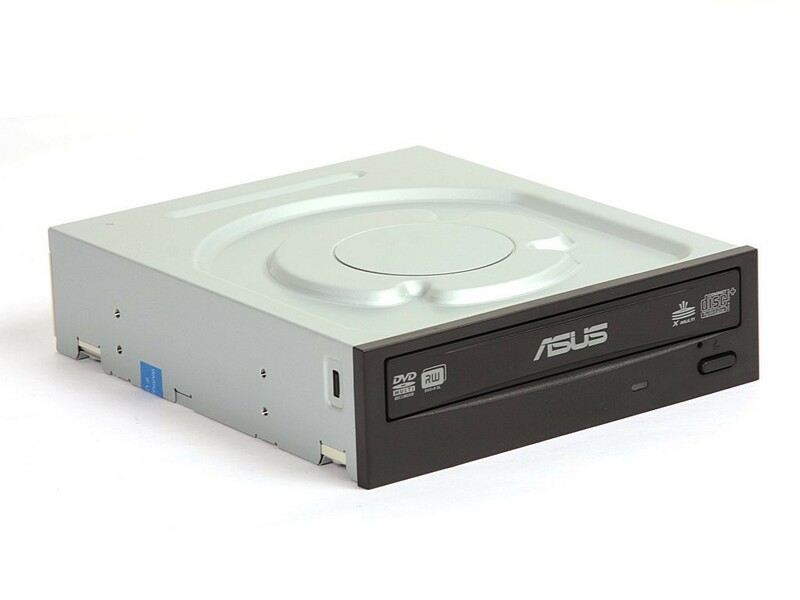 Those changes will work, however keep in mind that case will not be able to have a CD drive. It does not have a slot for a CD drive. I would recommend using an external CD drive or installing your OS with another method. Hey thanks for the reply I really appreciate it. This is my first pc build and I found your build and I really liked it. Its a relief knowing all the parts are compatible too. Sorry for all the questions but i was wondering if this ram would be compatible. So my first system is this what do you think. HDD- Same as the above build. It all seems good to go, are you able to link me to the exact RAM that you’re referring to there? Also, is this case the case that you’re referring to? If so you need to know that the CD drive wouldn’t be able to be used with that case, you’d have to install OS and drivers another way. Otherwise everything else seems good to go, let me know! For sure, you’d be good to go! I was looking around and I found this pre-built PC(http://amzn.to/2s1AuA0). I’m a complete noobs when it comes to them so which do you think is better mine or yours. Sorry if it is completely obvious. That PC is severely lacking in the video card department for what you’re spending on it… it would be a lot more beneficial to go for this build since the video card is significantly better for the future. For sure you could and I’ve replied to the cases that you mentioned you’d want to use! Let me know what you decide to go with! Are you referring to this exact case then? If so then yes, you’d be able to use that case with this build. Just keep in mind that it doesn’t have a slot for a CD drive so you’d have to either install Windows via USB or you could use an external CD drive temporarily to install. That’s this exact case right? Yup, definitely no issues there! hey sorry for all the questions but thanks for the replies 🙂 anyways, could you reccomend any case with a glass side panel i wanna show off that nice led tech thing i just love how that stuff looks. For sure, check out this case from DeepCool – it has the lighting and you’ll be able to see inside to show it off! I’m the same way, I need to be able to see inside! stupid question but im not quite sure what im doing, do i put the cpu cooler on the processer or do i put the stock cooler on the processer?? The CPU cooler on the processor, a CPU and processor is the same thing. Did you go with the 7600k? The 7600k doesn’t come with a stock cooler. Or did you go with another cooler? do i need to buy any additional wiring or screws or does it all come with it? All of the screws, cables etc that you’ll need will come with all of the different parts. The only thing you need as extra is a screwdriver! If so then yes, you’d be good to go using that case with this build! Just keep in mind that there isn’t a slot for a CD drive so you’ll have to install Windows through USB or use an external CD drive to get it done. How do you know exactly how every part relates and interacts with each other to the point that you know when upgrading a part to a more powerful version is going to give you negligible to even negative performance improvements. Do you have the specs of every item out there memorized or something? I’ve built several PCs and I know what is going to work down the road. Through experience and seeing what the component companies do in terms of future parts you get an understanding of how it’s going to work in the future. Hi hello thanks for this guides man just a quick question I have a low budget would a Corsair – CX650M 80+ work with this or is the corsair 750 highly recommended? You could go with a 650w PSU if you wanted to, no worries there man. 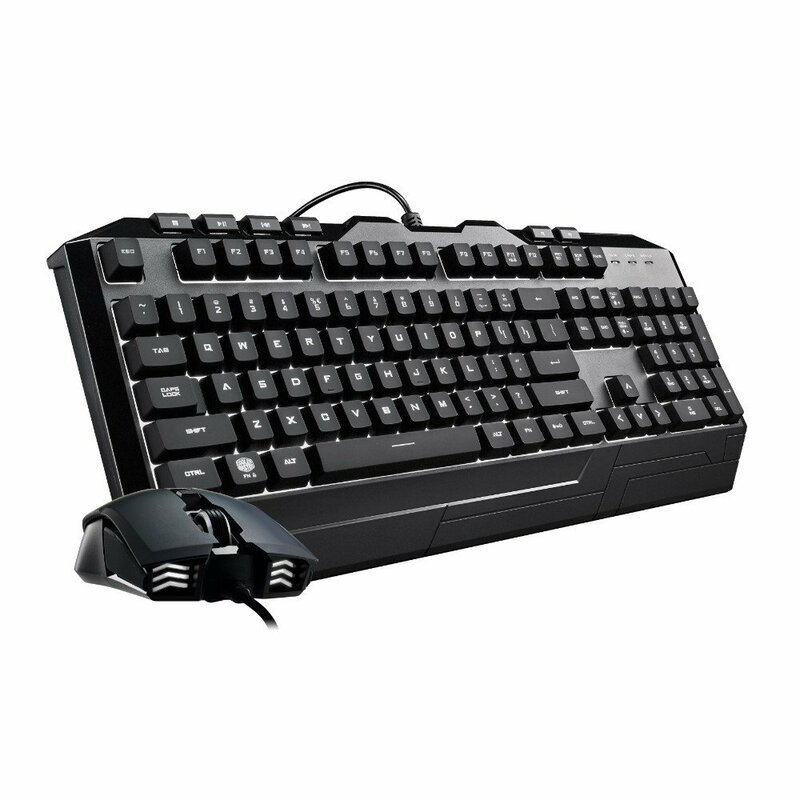 okay so I’m going to use a Corsair CX650M. I have a few questions: I haven’t be able to find a MSI-Z270 SLI PRO so would a MSI Z270 SLI PLUS work? Also I’m able to buy the Corsair Cooling Hydro H45 would that be worth it and/or compatible? Can I change to the corsair spec-3? also are there options for the same price for a video card? Those Would be the last questions I promise. Thanks beforehand. Yes, those changes would be fine. But what is the H45 that you’re referring to? Do you have a link you’re able to share? This is my first time building and I’m trying to be as sure as possible I’m getting what I need for a reasonable price so if you could get back to me that would be much appreciated. Another thing I had been wondering is I have an older moniter which is BenQ 24-Inch Gaming Monitor – LED 1080p HD Monitor – 1ms Response Time and i was hoping this would work with a build like this but I am just not sure. That monitor is a great monitor! The specs are awesome, perfect for 1080p gaming even at a competitive level. These specs surpass what is recommended with Overwatch – you’d get a very smooth frame rate maxed out at 1080p for sure! Other titles as well depending on overall optimization. The build is compatible with this case and these fans, right? For sure! Those changes would work just fine, that’s a pretty awesome case! Thanks so much! Also, since the graphics card in this list from PNY has been out of stock everywhere I look, is there a similar card you might recommend? I noticed that you recommended the GTX 1050 Ti to Jordan below, but I don’t mind spending a little extra to get a card that is just as capable or even a little better than the GTX 1060 in this build. 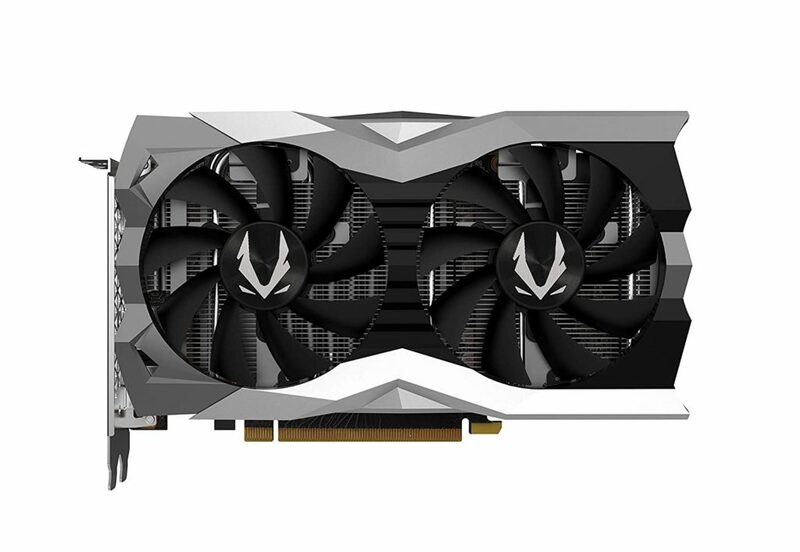 Up to you since the pricing has been pretty crazy as of late due to a BitCoin mining craze going on… I would also recommend this 1060 from Asus if you’re looking for something around that performance level. I even just visited Best Buy today and they were all out of stock in store as well; it’s crazy – so thank you! That’s due to the Bitcoin mining craze that has been going on. I’ve been reading some recent articles and some are saying that the market is dying down so seeing a decrease in price could happen within the next few months! Otherwise you’d be best off going with a GTX 1050 Ti like from the $500 build and then upgrading whenever you deemed it necessary. Hello again Colton thank you for the help before I have a question about another video card due to the bitcoin mining issues. Would i be able to use the msi video card in the link below and how would it perform in comparison? Hey Xander, not a problem! I’ve been away for a while so I apologize for the late reply. Yes, that card would work just fine! Understandable since most cards haven’t moved in price quite yet on the mainstream market. This is my first gaming pc that I would put together, and I am seriously considering this build. I would like to play Playerunknown and StarWars Battlefront when it is released – how will this build run with these games? Would it be better going for a GTX 1080 in this case? Also, I already have a mac screen that has a thunderbolt 2 port. Is it possible to connect this with the gaming pc if going for another motherboard/case? 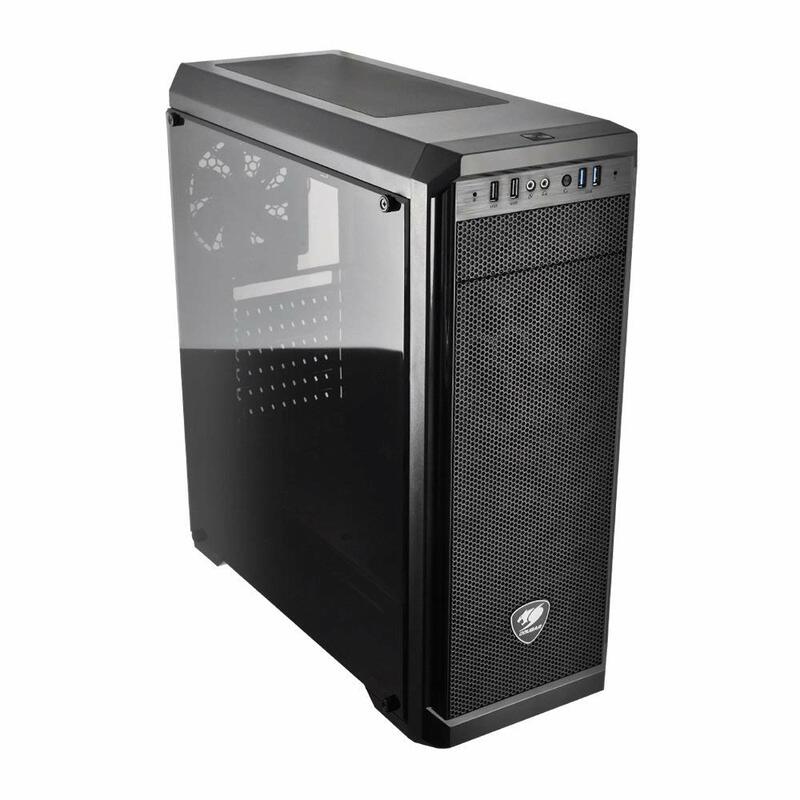 Since I am all new to this game, can you recommend some cases that are simple and not so flashy, like simple black ones and pretty small (without hindering setting up the system and spoiling the cooling). Sorry for the delayed response, I’ve been away for a while. Back now, though! These specs would be good enough for those titles, the 1060 is more than enough for PUBG, Battlefront and future titles coming out at 1080p! It’s an awesome card for that resolution. For the Thunderbolt port, I’m sure it’s easy to find an adapter of sorts to get that done. That’d be cheaper to do as well. Something like this adapter should be able to work out well! For an alternative case, let me know if you dig this one from Corsair – it’s a great case to work with! Is there any other video cards that are compatible with this build? and that are as good as the one in your build? Currently the pny cards are out of stock on amazon and pny. I’d also recommend this 1060 from Asus if you’re looking for something within that level of performance, it’s another great card to go with! I’ll be updating the builds soon enough, it’s not just this build that has a part or two that are out of stock/overpriced. Let me know what you decide to go with! Are there any other compatible video/graphics cards with this build(and that are as good as it)? The card in your build is out of stock on amazon and pny. I’d also recommend this card from Asus if you’re looking for something at a similar level of performance. It’s an awesome card! So i’m thinking of swapping out a few pieces and was wondering what you think and if they’d still work. I plan to use the same case/processor/cooler/RAM/hard drive/power supply but was looking to swap the motherboard to a MSI Z270 GAMING PRO CARBON LGA 1151 Intel Z270 HDMI SATA 6Gb and the graphics card to a MSI GeForce GTX 1060 DirectX 12 GTX 1060 GAMING X 6G 6GB 192-Bit GDDR5. Thanks. Yes! You’d be good to go making those changes if you wanted to, everything would still be compatible. Can I change the CPU to a i7-7700K? Would I need to change anything else if I make this change? With the old config yes you could, though I’ve changed up some parts utilizing Ryzen now. If you still want to go with Intel let me know and I’ll point you in the right direction. I mean, there’s no need for a CPU cooler there since the stock cooler that comes with the CPU is more than enough. And there is also not a video card, though after reading it seems that the build wasn’t made with super heavy gaming in mind. These builds are all with heavy gaming use in mind. That build wouldn’t do a whole lot in the realm of today’s games. I built your past 900 budget build back in 2015, I believe it’s time for me to update some hardware sense my pc has been crashing while I play over watch, would I need to replace all the hardware I have or just update a specific part? The error message I got allot was memory management, which I updated it with Seagate (Brand new) and still crashes. Memory management actually has something to do with your RAM (random access memory), not with your hard drive. A hard drive simply deals with storage space, not with a computer’s level of memory. What type of RAM is in your build? The exact brand and model would help. What exactly does the error message state and do you only get it while playing Overwatch? Would changing out the GTX 1060 to a RX 580 8G in this build without changing the case? You’d be good to go, I’d recommend going with this one from Sapphire since it’s at a pretty good price point right now. 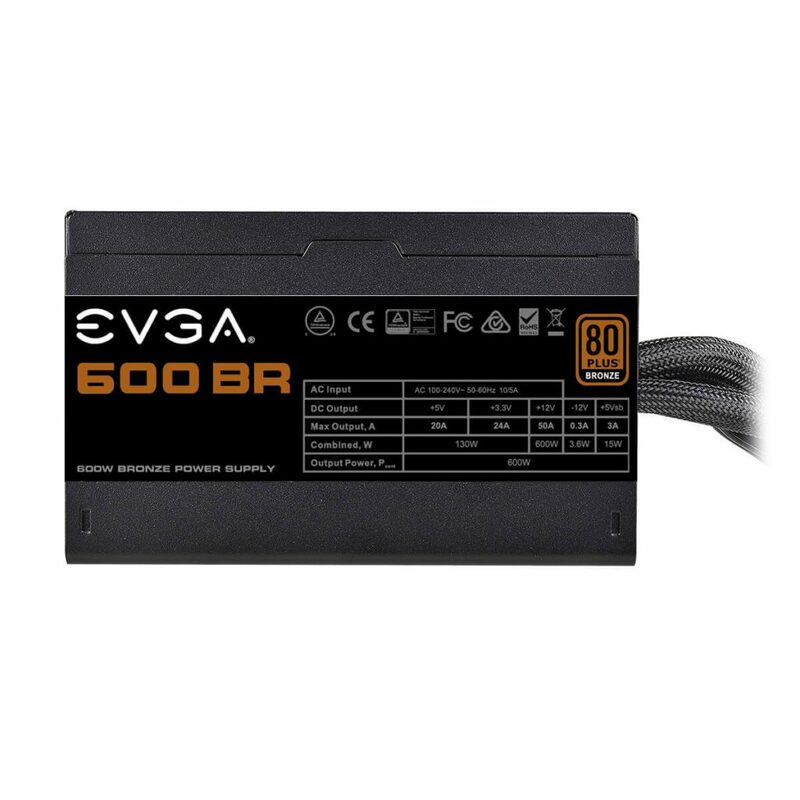 For sure you could, I’d recommend this one from EVGA – you’d still be able to get a slight overclock with it! Yes it will Tristan, though I’d make sure to use a good CPU cooler such as this Corsair H60 since it doesn’t come with a stock cooler. Just a quick question, if you don’t mind me asking, but will i be able to put all the parts you listed into a MicroATX Mid-Tower Case, Specifically the Corsair CC-9011086-WW Carbide Series 88R. And also can i downgrade the gpu to a 1050ti? Sorry if these questions seem odd in any way, this is my first build after all! Plz answer as soon as possible! Sure, you could downgrade to a 1050 Ti if you’d like. I’d recommend this one from EVGA if you were doing that! You’re referring to this exact case then, correct? If so then yes it’d be able to fit the hardware but keep in mind that it doesn’t have a slot for the CD drive. You’d have to either install your OS via USB or go with an external CD drive to get it done. Let me know what you decide to do and I’m always here for whatever else! I’ll be fine installing the os via a USB! No problem! Let us know how the build goes! Hello i was hoping you can pass me information this is the build i have and would like to switch parts and wanted to know if my computer will still be able to handle it with these changes. I would love to switch out the Graphics card for the one you have posted up and switch out my Ram sticks to the one you have currently up that’s 16Gb as well as the Seagate 2TB. How come you’re wanting to change your parts? Are you seeing overall performance decrease? Because you shouldn’t, you have a heck of a build man. You aren’t going to be able to switch to the above RAM since your motherboard wouldn’t be compatible with it but I wouldn’t worry about that, you already have 16GB of RAM. You could add in the SSD for sure, there are plenty of tutorials on moving your OS over to it if that’s what you’d want to do but other than that I wouldn’t recommend making any drastic changes. Maybe adding in an aftermarket cooler to be able to overclock your processor? Otherwise I really wouldn’t recommend switching to these parts, it simply wouldn’t be worth doing. Let me know what you decide on doing! Hey I would love to add an aftermarket cooler, got any links for it sense i tried overclocking my Pc but it was getting extremely hot so i cancelled the overclocking progress and assumed it wouldn’t be able to handle it. Also will i be able to have the 1Tb seagate and the SSD at the same time or will one have to go? My computer has been performing poorly, well it might not be that it might just be the monitor, i tried playing Grand Theft Auto 5 but when i get on a moving car everything glitches out and cant see the road which makes 50% of the things invisible, i have the monitor you have listed i might need one with a higher fps. The monitor should work just fine, I doubt it’s a problem with your monitor. So you’re monitoring temperatures while in-game? What are the actual temps? Do you have all of the exact parts listed above? Let me know! Will this work for the components listed above? That’d be this exact case then, right? If so then yes it’ll fit all of the hardware but you have to keep in mind that it doesn’t have a slot for a CD drive. You’ll have to install the operating system via USB instead or use an external CD drive – whichever is best for you! 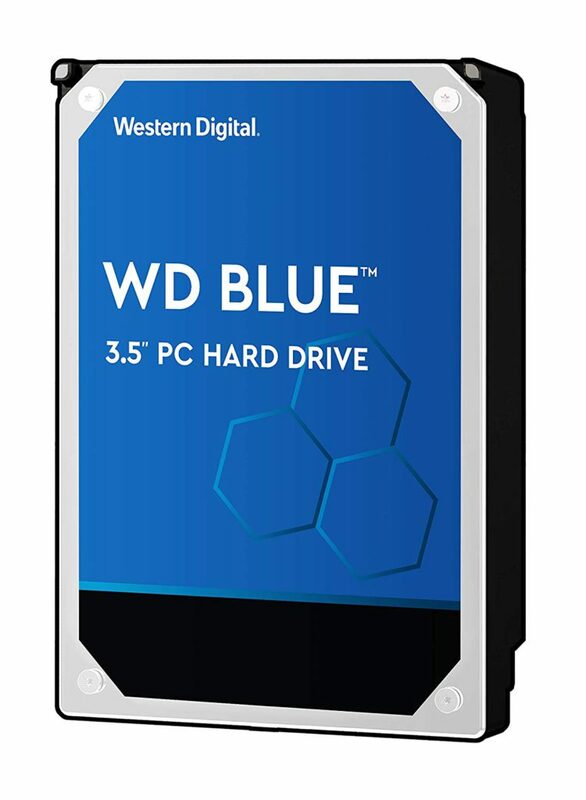 Would scrapping the CD drive and getting a 256 GB SSD be worth it? I am not on a rush because I am still racking my money to 900$ so I would still see what’s changed on this build. If you wanted to, sure! Any of these SSDs from SanDisk would be a good choice since they’ve been available for a good price point for a while now. Unless you’re trying to get that 10GB extra space, though usually you pay way more $ per GB that way. Hey Colton, I want to ditch the CD drive because it’s not necessary for me as I never use it. Can you recommend a case without a CD drive slot and what to do with that extra money? I’d personally go with a case that has more room, I’m not sure if that case has enough. Other than that you wouldn’t be able to use the i7 with the above motherboard so you’d have to switch that up. The 1070 would work fine! alright, thanks for the reply, but what motherboard would you suggest that would be compatible with the things I want? With the i7-6700k? You’d be able to use this motherboard from MSI for sure, keep in mind that using the 6700k means that you’ll also need to use an aftermarket CPU cooler. Also I’m curious, how come you want to go with the i7-6700k? Why not go for a newer generation such as the i7-7700k since it’s cheaper and better? It’s also still compatible with the motherboard I linked to you. Let me know what you decide to do and if you have any other questions! Also is the second case large enough? Can you link me to which case you’re referring to? I just completed this build and cannot get input to the monitor. Any suggestions? Corsair 8GB Kit (1x 8GB) 2133 MHz CL15 288-Pin DIMM DDR4 RAM Memory (CMV8GX4M1A2133C15) on the memory. All fans are moving when you boot up? 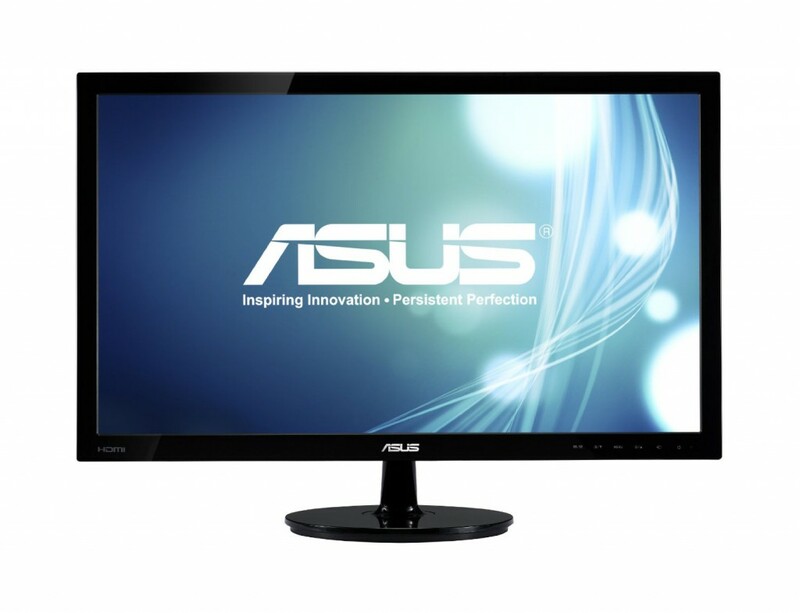 Are you using a video cable from the video card to the monitor, or from the motherboard to the monitor? Make sure it’s going from the video card to the monitor! Thanks for the work on these builds. I’ve been a gamer for a long time and helped my dad build a few but I was never truly involved to the point of know what to look for. After doing some work reviewing here and there and reading some of your builds, that helps a lot. I think I am right about in this range as far as cost. I really like this build but say I wanted to splurge. 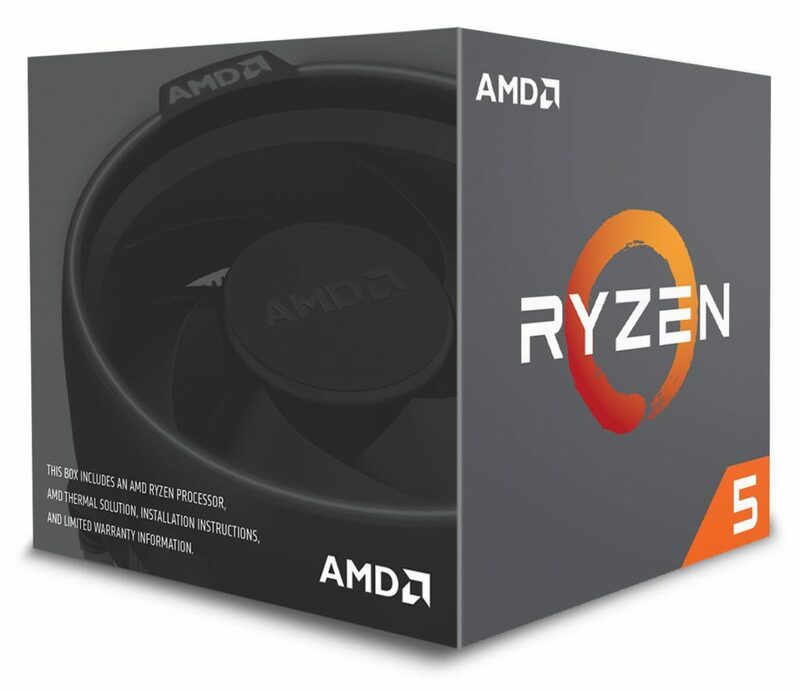 Would it be beneficial to bump up to the Ryzen 7 1700 and find a bump in another Card (non-brand specific) and spend the extra $150-200 to stay in the tech. curve a little longer or do they compare in performance and differ so little that I should just save the money for an update or accessories? This is a great budget range to be in if you’re looking for a build that’s going to have high frame rates and overall an awesome experience with a PC. Bumping up to what’s next up isn’t a bad idea, I’d only recommend doing so if you planned on getting into virtual reality in the future and/or higher resolution gaming than 1080p. The specs as is will perform amazing at 1080p and for some less demanding titles in VR for sure, upgrading to the CPU you are considering would be ideal if you also planned on doing heavy rendering work as a video editor or heavy graphic designer. A better video card for like I said, higher res gaming or high level VR gaming. Let me know what you decide to do and if I can help more, let me know! Hey Colton, I built my computer from your recommended list here back in 2014, but my older brother was planning to get back in the gaming scene, so I checked to see if this had been updated. I see that you’ve switch the CPU from Intel to AMD. What was your reason for this? I’m not too familiar with AMD but I’ve only heard negative stuff. Edit: My bad, could’ve been 2015. You’ll hear negative stuff about Intel as well, depends on where you’re getting your information from. With the new Ryzen line up, it makes perfect sense when looking at power per dollar spent. You’ll be able to reach similar levels of performance for a lower cost, allowing you to spend more on other parts. I try to update the lists as much as I can! Colton I have a question , can I use this case?ROSEWILL ATX Case , Mid Tower Case with Blue LED Fan / Gaming Case for PC with Side Window Panel & 3 Fans Pre-Installed , Computer Case 2 x USB3.0 Port – NAUTILUS for the specs and the cd. You’re referring to this exact case then, right? If so then yes, you’d be able to use that case with everything else listed above! Let me know if I can help more as you’re moving forward with your build! I have one more question Colton, may I be able to use this pc to run two monitors, if not what do you think I would need to add to run two monitors? Yup, you’ll be able to do dual monitors! The graphics card has enough video ports to use. Is it possible to replace the graphics card with the GTX960? This one in particular, that I have installed on my current computer. The 960 seems quite bulky, though, and I worry because I saw that the GFX you picked is mini-sized. Thank you! For sure, you’d be able to use a 960. The only reason that a smaller card is shared above is that it’s the lower priced one to go with, makes sense for the budget point. There is plenty of room in the case! would the ASUS Prime B350-Plus mother board and AMD Ryzen 5 1600 Processor work with this build? You’re referring to this exact motherboard then, right? If so then yes, you’d be able to use that board with a 1600 just fine! Always here for whatever else as you’re moving forward with the build. 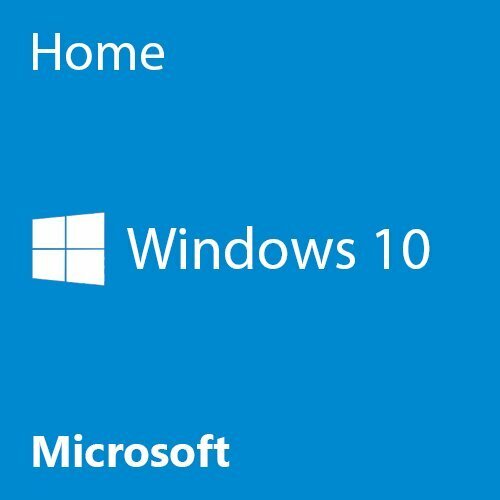 So I found a pretty cheap And Solid motherboard in Amazon It said that It has Windows 10 pro already installed as operating system, so the question is can I take the old license code from my old pc and put It there? Z370 boards aren’t made for Ryzen CPUs. You’d need to go with a compatible Intel CPU if you wanted to go with that board. Something like an Intel Core i5-8400 would be suitable for that board. As for your old license, you might be able to with the help of Microsoft support. I’m sure that if you’re able to prove that it’s your license then they’d be able to activate it on the machine though I’m not entirely certain of that. What would you suggest using for adding Bluetooth capability? It is needed for some controllers. 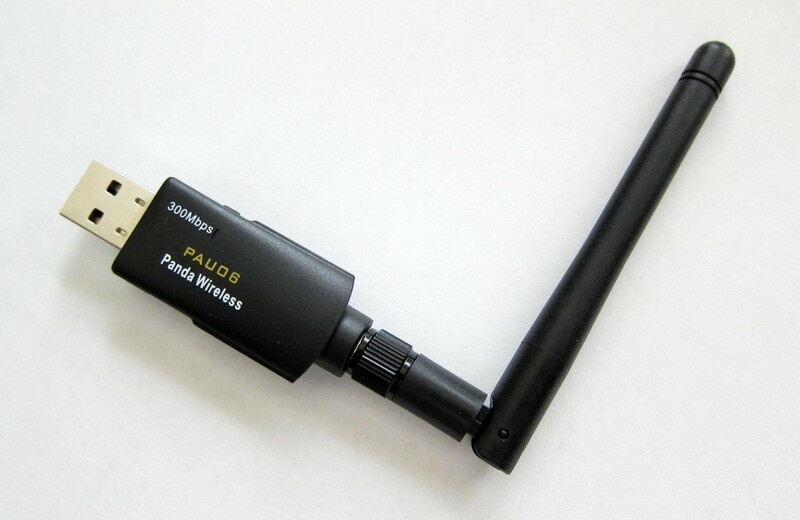 You’d need a Bluetooth wireless network adapter such as this one from Gigabyte – be sure to install the correct drivers before trying to connect your devices. Are you referring to this exact case then? If so then yes, you’d be able to use it as long as you don’t plan on using the CD drive and know what to do in terms of installing Windows without the CD.